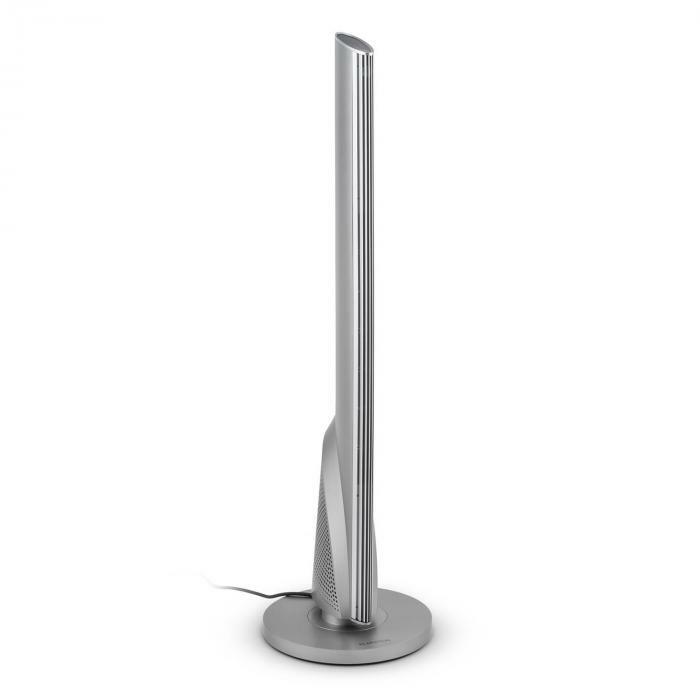 Powerful ceramic heater column for fast, allergy-free heating of cold rooms. 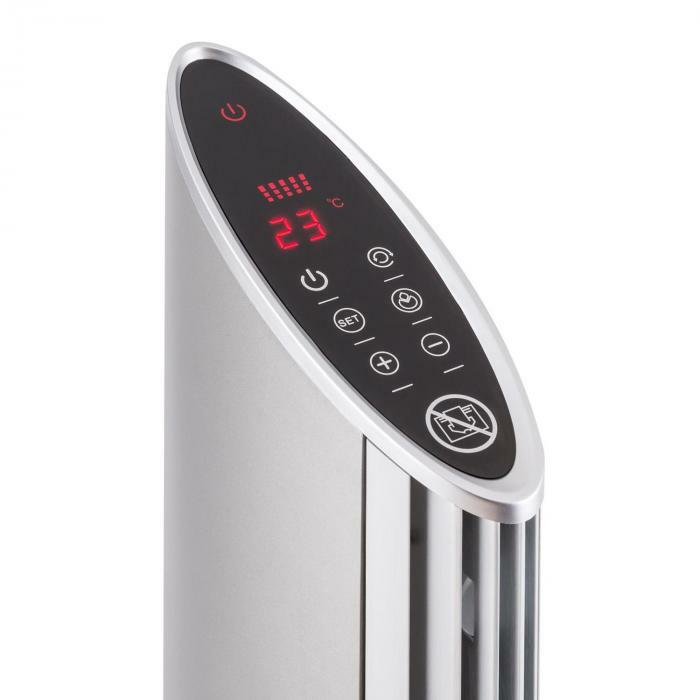 Two heat settings with 1600 and 2500W, oscillation function, and adjustable by degree from 15 ° to 28 ° C.
Particularly stable, durable, low-noise and suitable for allergy sufferers thanks to ceramic heating element. 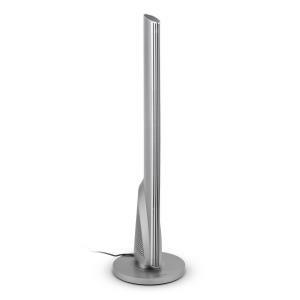 The Skyscraper Heat ceramic heater from Klarstein brings the advantages of ceramic heating elements into your apartment in a beautifully modern design. Enjoy fast heat-up times without unpleasant odours. The Skyscraper Heat brings warm air in no time to cold offices, living rooms or gazebos. 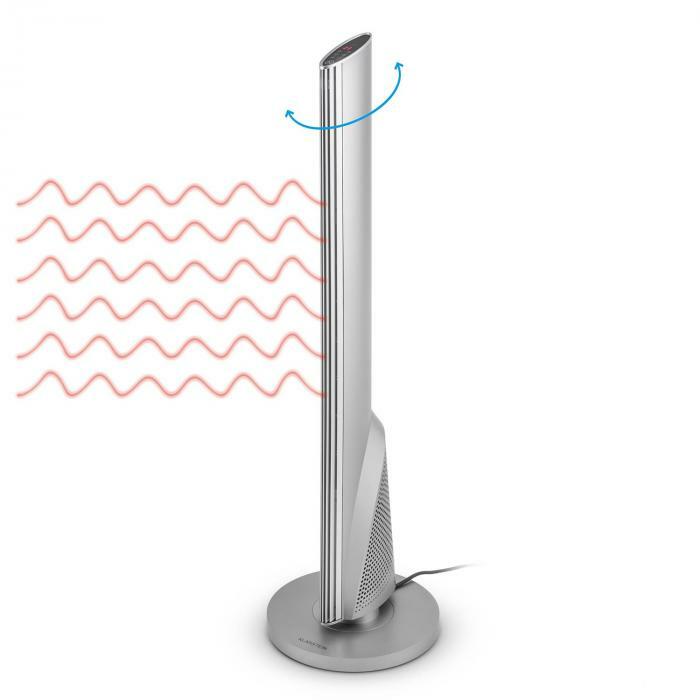 Compared with a wire heating element, ceramic has many unique advantages: it heats the air more quickly, allowing the heat to be felt even just a few moments after it is switched on. 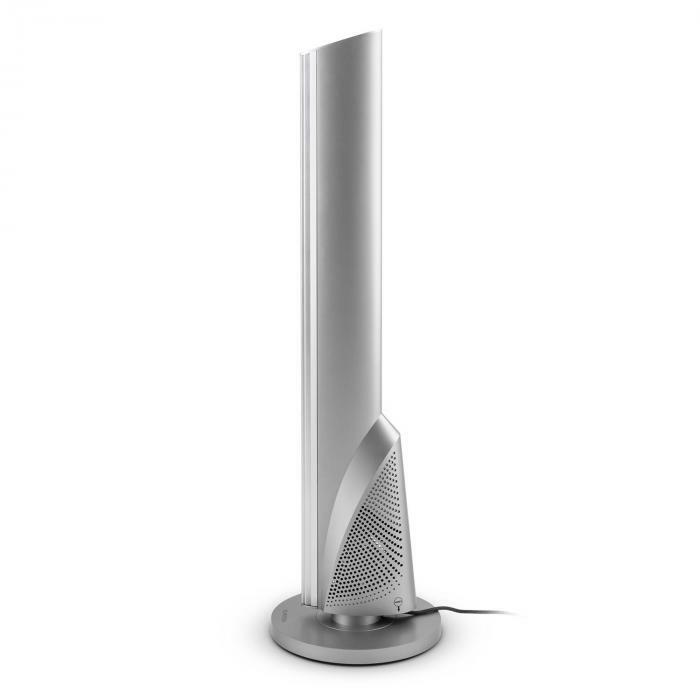 At the same time it is physically much smaller and can be perfectly fitted in a space-saving column heater such as the Skyscraper heat. The ceramic heating element also never gets so hot that it burns dust particles, meaning that it doesn’t generate any annoying odours or unpleasant dust that can irritate allergy sufferers in particular. They also need less air flow to be cooled, making for considerably quieter operating noise. The higher weight gives the heater a firmer stance, making it more robust and durable than heaters with wire heating elements. 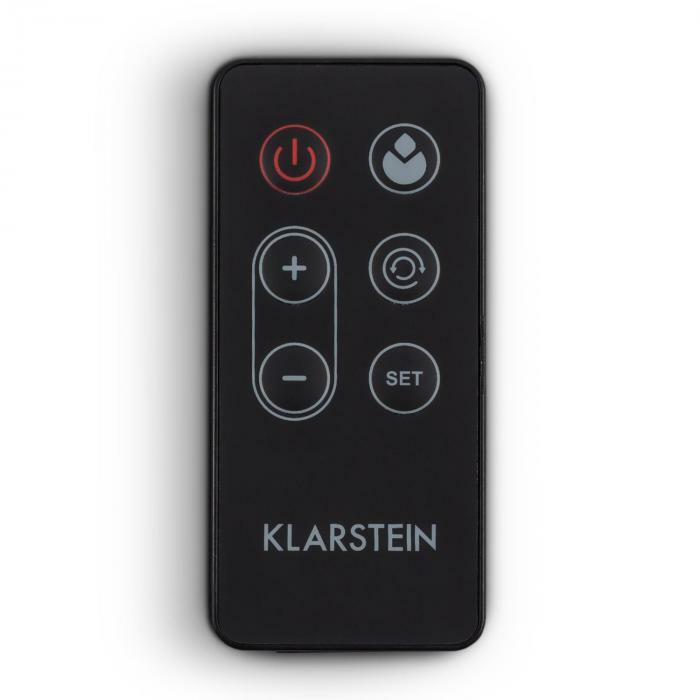 The Klarstein Skyscraper Heat ceramic heater fan offers all of these benefits, along with a convincing performance: in two heat settings of 1600W or 2500W it warms up an area of up to 25m². 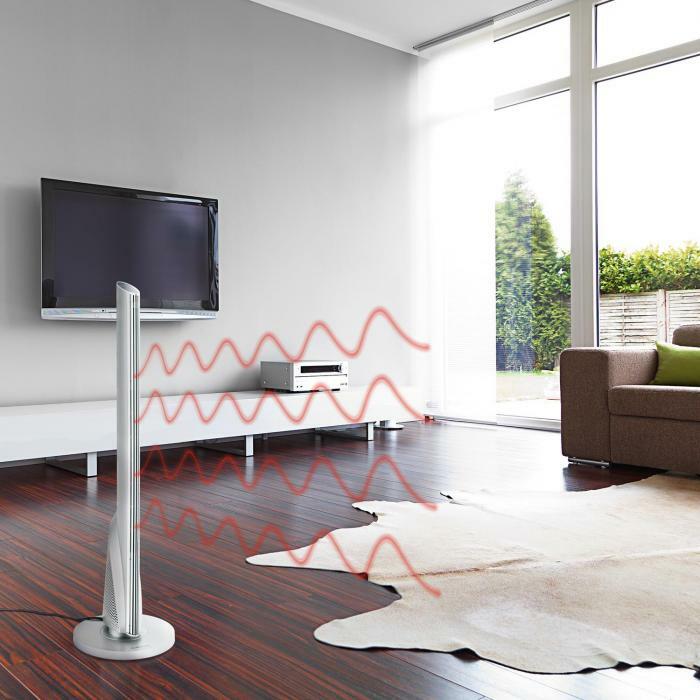 A switchable oscillation function distributes the warm air throughout the room, thereby accelerating the heating process. The desired target heat may be gradually adjusted from 15 to 28° C. Once it is reached, the heater turns off automatically and immediately starts up operation again when the temperature falls more than 2° C below the desired value - saving power and keeping the room comfortably warm. There is also a countdown timer available, which may be set in hourly increments between 1 and 12 hours. Once the timer ends, the power goes off. All functions may be controlled via a simple touch panel or conveniently via remote control. Visually, the Skyscraper Heat delights. 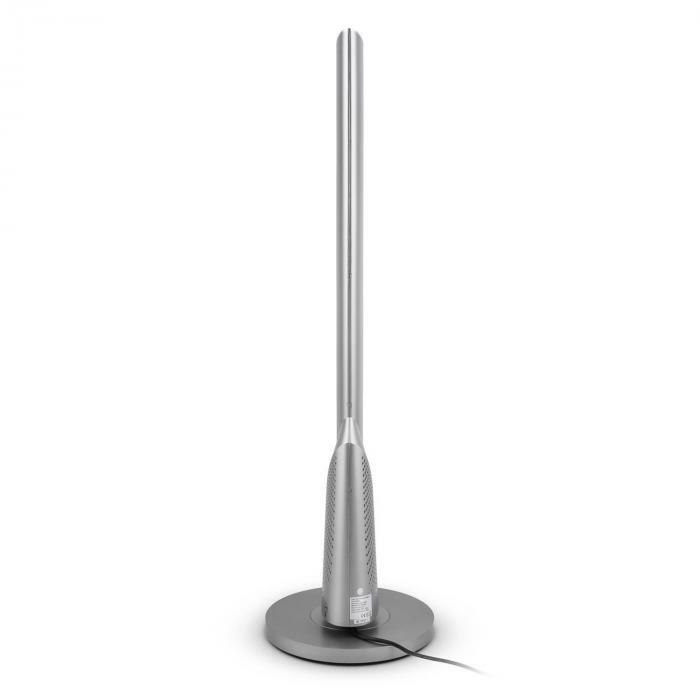 The ceramic heating element is hidden in an ultra-slim tower case, which sets an accent with its futuristic lines and silver colour while at the same time fitting easily into more classic living spaces. 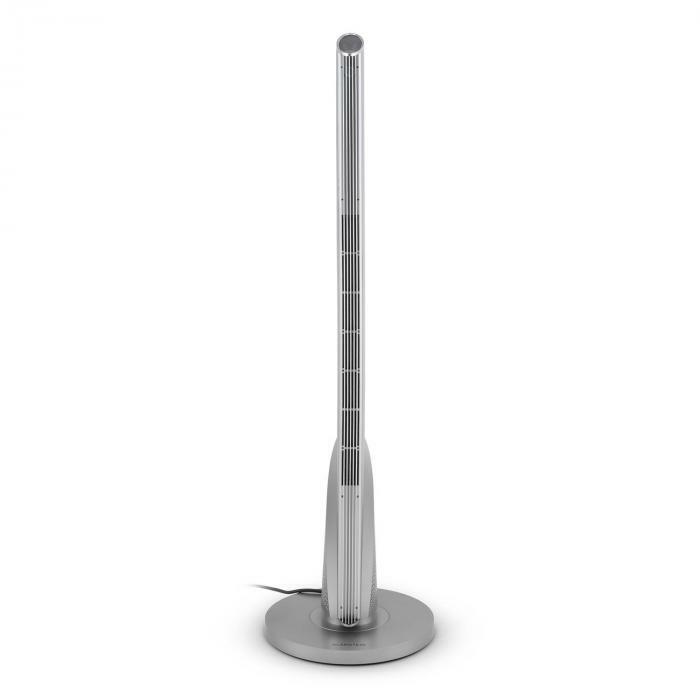 With its round base of 33cm in diameter, the Klarstein column heater is highly stable and requires very little space.